Summer isn't quite over yet, so there's still time to enjoy it on very little gasoline. 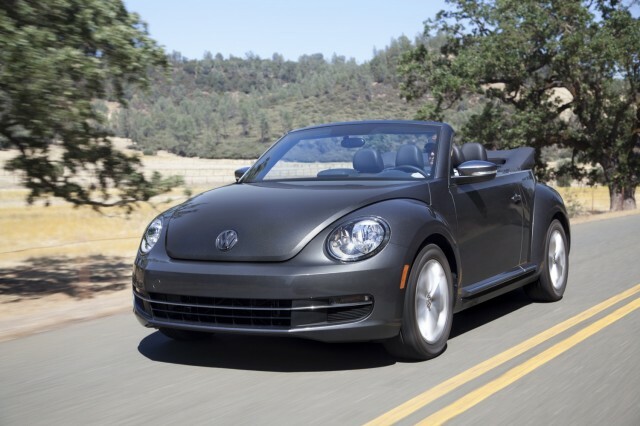 A handful of the convertibles on sale are remarkably fuel-efficient. It's a small niche, to be sure, but buyers seeking plenty of sun and good fuel economy still have plenty of options. 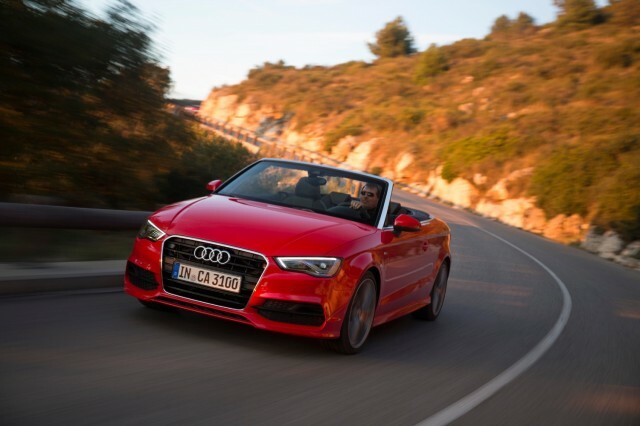 We've listed the five convertibles with the best fuel economy here. If you're interested in combining efficiency with top-down driving, check them out before the summer is over. 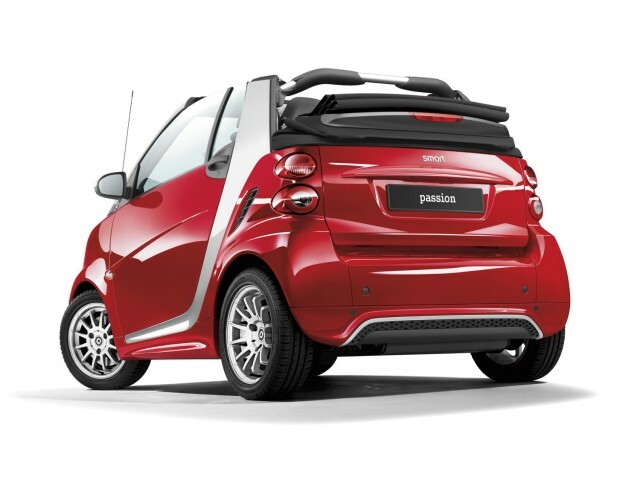 The Smart Fortwo coupe is all new for 2016, but the convertible model continues on the old platform. In fact, it will skip the 2016 model year completely, and arrive with the new body for the 2017 model year. It may be largely a city car, but the Fortwo remains the most efficient convertible available in the U.S. with a combustion engine. That's largely due to its tiny, 1.0-liter, three-cylinder engine, which produces just 70 horsepower and 68 pound-feet of torque. The only available transmission is a five-speed automated manual. But for buyers concerned primarily with fuel economy, it's hard to beat the Smart's EPA-rated 36 mpg combined (34 mpg city, 38 mpg highway). The base price of $18,680 is pretty miserly, too. It's also worth noting that the Smart Fortwo Electric Drive remains the only all-electric convertible sold in the U.S. Like the gasoline model, it won't transition to the new Smart platform just yet. Like the Smart, the Fiat 500c features a folding cloth roof between two fixed posts, making it somewhat less open than most traditional convertibles. Unlike the Smart, its styling takes a turn for the retro. It's a modern interpretation of Fiat's classic small car. 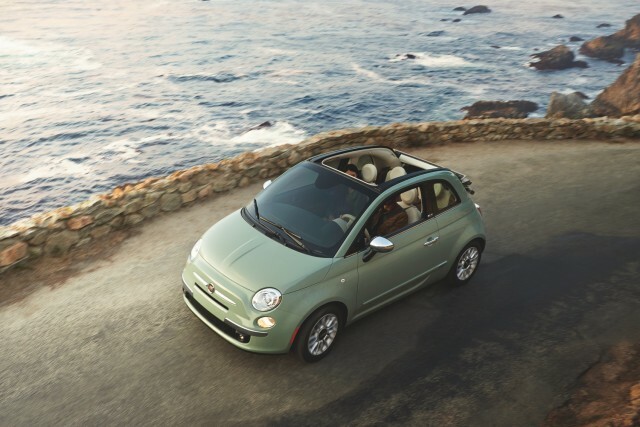 Convertible models use Fiat's 1.4-liter four-cylinder engine, with 101 hp and 97 lb-ft of torque. There's also a sporty 500 Abarth Cabrio, for those looking to trade some efficiency for performance. Transmission choices include a five-speed manual and a six-speed automatic. The manual is the fuel-economy champ, returning 34 mpg combined (31 mpg city, 40 mpg highway). The automatic is rated at 30 mpg combined (27 mpg city, 34 mpg highway). Pricing for the 500c starts at $21,325. 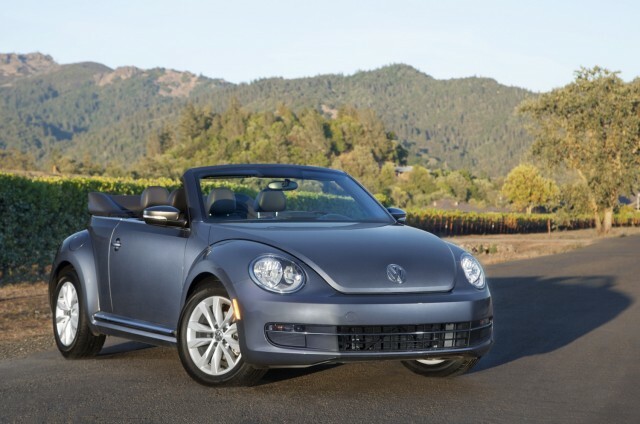 The Beetle remains the sole diesel convertible currently sold in the U.S., making it a good choice for long road trips. Diesel engines are known to exceed their EPA highway ratings in real-world driving, and the standard six-speed manual transmission makes for a more engaging driving experience, to boot. Volkswagen's retro ragtop uses the EA288 turbocharged four-cylinder engine found in the Golf and Jetta. It sends 150 hp and 236 lb-ft of torque to the front wheels. Whether you choose the six-speed manual or automatic, fuel economy remains the same at 34 mpg combined (30 mpg city, 40 mpg highway). Prices start at $30,495. Following the Fiat and Volkswagen, the MINI Cooper completes the retro trio that occupies the middle of this list. The MINI Cooper convertible's top retains a clever folding mechanism that allows it to partially open as a sunroof. While there are already multiple MINI variants on the latest platform launched for 2014 as a three-door hardtop and 2015 as a five-door hardtop, the convertible isn't one of them. Instead, it continues to use the previous-generation body--meaning it's not yet available with the latest 1.5-liter three-cylinder engine that powers base versions of those two styles. 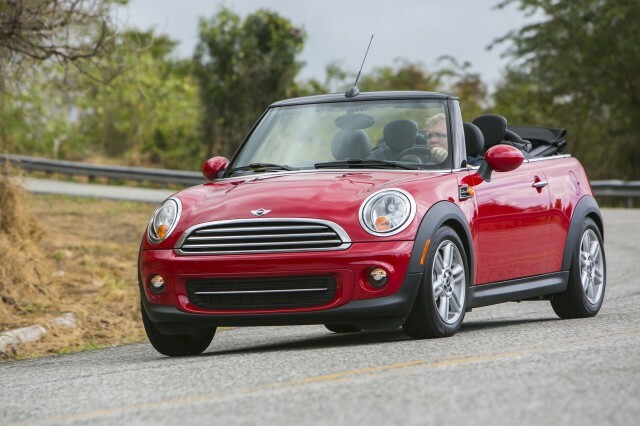 The 2015 Cooper Convertible uses a 1.6-liter four-cylinder engine, with 121 hp and 114 lb-ft of torque and two available transmissions. With the six-speed manual, the MINI gets 30 mpg combined (27 mpg city, 34 mpg highway), while the six-speed automatic loses 1 mpg in the combined and city categories. Prices start at $26,550. It may not be offered with the TDI diesel engine available in the sedan, but the convertible Audi A3 is still fairly efficient. It's one of the only modern compact convertibles still available, sharing the Volkswagen Group MQB platform with the Golf. That makes it a more practical choice than subcompact convertibles, but without the added girth of larger convertibles. With the standard front-wheel drive, the A3 Cabriolet is offered solely with a 1.8-liter turbocharged four-cylinder gasoline engine, which produces 170 hp and 200 lb-ft of torque. Harnessed to the mandatory six-speed automatic transmission, this engine returns an EPA-rated 28 mpg combined (24 mpg city, 35 mpg highway). Opt for all-wheel drive, and the 1.8-liter engine is replaced with a 2.0-liter turbocharged four, with 220 hp and 258 lb-ft.
Fuel economy suffers somewhat in this configuration, dropping to 26 mpg combined (23 mpg city, 32 mpg highway). Prices start at $36,525.